As the name suggests, Proclear Multifocal Extended Range lenses are designed to offer excellent clarity of vision at all distances. Aimed at those with age-related eye problems like dryness and presbyopia, these monthly disposables offer the vision quality of bifocal glasses with the convenience and comfort of a high performance, quality contact lens. 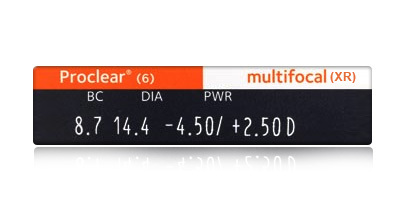 These lenses come in a wider than usual range of powers, from -20.00 to +20.00. There's also a wider than normal choice of reading additions. 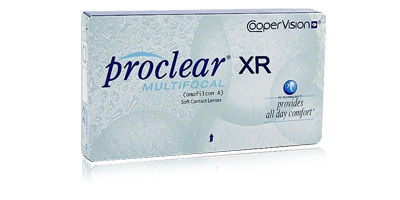 Produced by optical experts CooperVision, Proclear Multifocal Extended Range lenses feature patented PC technology. This simple but ingenious hydration system uses a moisture-attracting silicone hydrogel material called Omfilcon A. Water is attracted and locked into the lens, keeping eyes naturally moist and free from irritation all day long. Meanwhile, a higher than normal water content allows up to five times more oxygen than usual to pass through the lens to the eye keeping it clear, bright and fresh for over 12 hours of continuous wear. If you want better breathability and wettability, these monthly disposable lenses are a great place to start. The beauty of Proclear Multifocal Extended Range lenses is that they allow you to see what you want, making them ideal for those with a varied lifestyle. Whether it's reading a road sign in the distance or studying a letter or menu up close, you'll be able to see clearly without any blurriness. 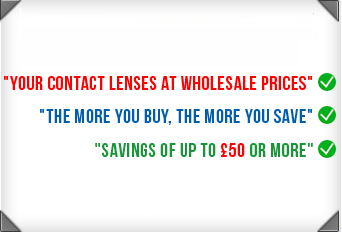 Use freephone number 0800 037 4000 to contact us with any questions you may have about these monthly disposable contact lenses. 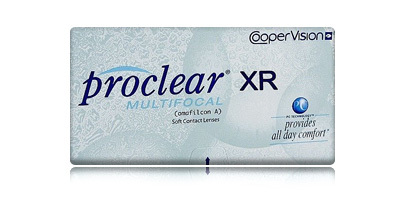 Order Proclear Multifocal Extended Range contact lenses with ContactLensesExpress and get super fast delivery to your home or work address. The majority of orders are despatched on the day of placement.